7 chances to win each prize! I’m claiming 5X entries to win $7,OOO.OO A WEEK FOR LIFE! PLAY&WIN WILL AUTOMATICALLY ENTER ME TO WIN A BRAND NEW FORD F150 AND I ENTER THREE(3) ADDITIONAL ENTRIES TO WIN THIS INCREDIBLE TRUCK,VALUED AT OVER $65,000,00 FROM PCH GWY,NO,8186.LET ME WIN THIS,”PLEASE”! 2. Only & Final time this season. An EXCLUSIVE chance to Double the Million. NOT TO BE MISSED in this notice. I – continued on – and found out how! 4. PLUS – Exclusive future opportunities throughout the year from Gwys. 8O46, 8O47 & 8O48. As a special Thank you only for members. I’m claiming all FOUR Entries to win a Brand New Ford F-150 Platinum Truck or $65,549.OO cash equivalent from PCH Gwy. No. 8186 with my timely entry from this promotion and have the number that matches the winning number. I’m entering by July 21st (11:59 PM, ET) – I didn’t wait. I continued now and got all my entries. I’m claiming my FOUR Entries to win a Ford F150! When I Sheryl Bork clicked continue, before the entry deadline on PCHSearch&Win I automatically became entered to win a Brand New Ford F150! But that’s not all! When I continued through this e-mail to login and search on PCHSearch&Win, I received THREE Additional Entries to win this incredible truck, valued at over $65,OOO.OO from PCH Gwy. No. 8186. Yes! I Sheryl Bork could add a strong truck like this in my life. I’m receiving my FOUR total entries to win from this notice on July 21st (11:59 PM, ET) – I won’t wait! I continued now to get all these entries. I believe that dreams come true I believe I can win it all thank you Publishers Clearing House make my dreams come true . Yes! I’m ready to ride. I continued on PCHSearch&Win for my chance to win a FORD F-150! I searched on PCHSearch&Win for my THREE Extra Bonus Entries to win a FORD F-150 worth over $65,000.00. 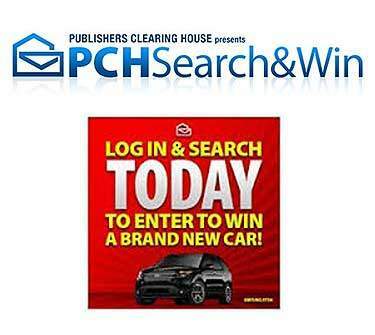 On PChSearch&Win I’m excited to get an additional THREE chances to win from PCH Gwy. 8186. I’m Ready To Win! I Want To Win! FERMIN MARENGO OF WEST MELBOURNE, FL. SUBMITTING ENTRY TO win a Brand New Ford F-150 Platinum (or the $65,549.00 cash equivalent) from Giveaway No. 8186 or cash equivalent Lump Sum payment. I WANT TO BE THE LUCKY ONE TO BE DRIVING THIS MAGNIFICENT VEHICLE WITH PROUD FOR BEING AN AMERICAN MODEL. HOPE TO WIN AND RECEIVE THIS ENORMOUS PRICE TO TRAVEL ALL OVER AMERICA. THANK YOU PCH FOR THE OPPORTUNITY! I claim my 3 entries to win a Brand new FORD F-150 Platinium or equivalent $65.549.00 from PCH Giveaway 8186.Thanks PCH. 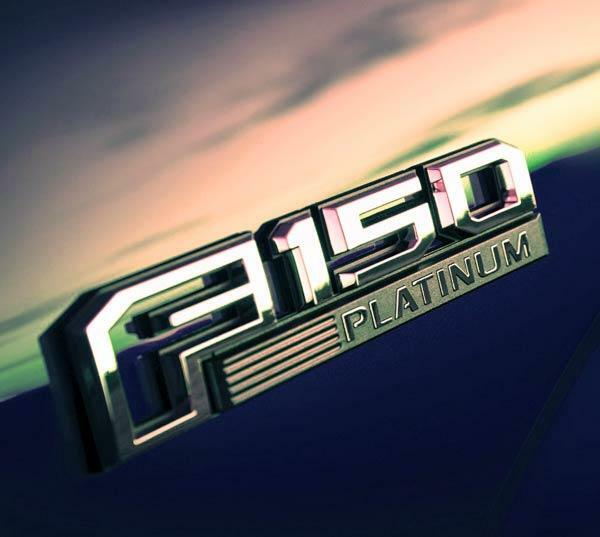 I want to Claim my 4X Entries to Win Ford PickUp Truck F150 Platinum! PCH Gwy.No.8186. Today 18July2017 RG. The offers you offer money and a Car are hard to ignore so here I am trying to win, I pray everyday you will chose me, I am here waiting for you!! I would appreciate a win sometime this year as I’ve been entered since February and won nothing!!!! HELLO PUBLISH CLARENCE HOUSE, I WOULD LOVED TO WIN 2 MILLION DOLLARS PLUS 10,000.000.00 A MONTH PLUS A NEW CAR, I WOULD LOVER TO PURCHASE A NEW QX60 INFINITI CAR INSTEAD OF A NEW LINCOLN!!! MY KIDS WOULD HAVE MORE ROOM ESPICALLY IN THE TRUNK AREA AND I WOULD BE HAPPY IF YOU COME TO ME WITH THAT OFFER ON JUNE 30, 2017. I WOULD THAT THE LORD FOR SENDING PCH TO ME AND I CAN FINALLY SEND MY DAUGHTER AND SON TO COLLAGE AND WE ALL WOULD LIVE IN OUR OWN DREAM HOUSE AND TRAVEL ON WINTER BREAK, SPRING BREAK, AND SUMMER BREAK. MY KIDS WOULD BE EXTREMELY HAPPY AND I WOULD BE HAPPY TO HELP OTHER CHARITIES THAT TRULY NEED ME!!!! SO PLEASE COME TO ME ON JUNE 30, 2017. I BEEN OUT OF WORK ALMOST TEN YEARS AND I AM LOOKING FORWARD TO TAKE BETTER CARE OF MY TWO KIDS AND ME. PCH HAVE A WONDERFUL DAY!!!! Holy Cow PCH !! Jeepers, Mr.Wilson !! I’m A Member of The PCH 50/ 50 Club and The Ford F -150 Platinum Ford Pick -Up Truck Is What I Love !! Pick It Up & Game On !! I’m A PCH Lifer SUPERFAN & SHIFTING into overdrive is my plan !! I’m All In To Win It All !! Pch Search & Win 2Nd Of 3 Prizes A Lincoln MKZ Valued At Over $49,000.00 Prize No-8186 On April 28th By 11:59 PM,ET Activate ! Hello PCH I would like to claim sole ownership with a validated entry to win 10000 a week forever with lump sum cash option & 6750.00 a week forever with upgraded VIP status with my final steps into the winners circle and move to the top of the winners list + claim a 100000 dollar cash superprize ,a Lincoln MKZ and a 1000 dollar cash winner within the Dayton Oh 45449 TV viewing area and I’m a superfan claiming the effort for the big check that’s in for the win !!! HOW MUCH FUN I WOULD HAVE WITH THIS . LOVE TO WIN COULD TAKE GRAND KIDS ALL 10 OUT WITH GRANDMA. Here we go again! A car would be nice. — especially since I don’t have one! I think it’s late, I feel really talkie — must be all that Christmas chocolate I ate earlier! Ha ha who can resist at Christmas time. Just finished putting up the tree. I swear it takes me twice as long as it used too! Oh well, where do I have to go anyway. let’s see,, I really would like a new car more than anything. I have to depend on someone else every timenI need to go someplace. Never thought I’d be without a car, but then no one knows what the future holds. So here’s my entry for yet another chance to WIN a car pluse money! What a deal. I AM ENTERING TO WIN $15,000.00 CASH PRIZE FROM PCH GWY NO.6085. THIS IS AN ADDITIONAL ENTRY. PCH FrontPage why would I fall for these opportunities! These Three prizes that are Brewing! it’s time to rise and shine! It’s Search Time! I am here to start my day off right by searching now in front page we’re Publishing Clearinghouse are staying up talking and 3 Premium prizes today’s menu thirsty to win and score I will come back again and again playing these three chances to win and score tokens from The Incredibles selection drink up at PCHFront page today’s menu November 6th – $10,000 a week for Life PCH Giveaway number 6900 ! A brand new Lincoln MKZ valued at $47,270.00! and $25,000 golden ticket prize PCH Giveaway number#4749 and score 3000 token! I am Mary Phillips and I am “in it to win it” ! I am here to secure and I delete my entry to win these amazing prizes my three chances to win and I understand that someone will win $10,000 a week for Life Prize winner will receive $10,000 a week for life on December 23rd, search how to enter to win during this special early look prize event! #Knock knock #PCHWinner! YES I WANT TO WIN !!! DEAR PCH/VIP/SWEEPSTAKE/ THE PRIZE PATROL TEAM, MY FRIEND , I AM YOUR LOYALVIP , VERY LONG TIME , PLEASE I WANT TO WIN ,PCH GWY NO 6900, SWEEPSTAKE GWY NO 4900, SUPERPRIZE GWY NO 1830, AT STAKE 3080, NOW $10,000.00 A WEEK FOR LIFE ! YOU AWARD TO NURUN JAHANGIR BEFORE TO -TODAY A LOTS OF AWARD ! NOW TURN ON DEC,23rd WANTS TO REAL WIN PCHGWYNO 6900 $10,000.00 A WEEK FOR LIFE PLUS RELATED AWARD ,PLEASE!!! GOD BLESS YOU AND ALL .THANK YOU. Weeks ago and it was a big deal with the first place. Please consider us we could really use the money for so many things in life not just for us but help others and animals also. HOW DO I GO ABOUT WINING THE VIP WEEK APPRECIATION BRAND NEW FOR MUSTANG WORTH OVER $31,000.00 WITH $25,000.00 CASH IN THE TRUNK. PLEASE LET ME KNOW. IF YOU CAN ENTER THIS FOR ME I WOULD APPRECIATE IT VERY MUCH. ALSO, LOOKING TO WIN VIP $10,000.00 CASH GWY NO. 8546. I AM HEREBY ENTERING TO WIN BOTH THE CAR AND THE CASH. THANK YOU FOR ANY HELP YOU CAN GIVE IN ENTERING. Yes, I would like to win the Bonus $50,000.00 Cash Prize PCH Giveaway No. : 6085.
iI WOULD LIKE TO ENTER TO WIN THE LINCOLN MKZ, WORTH $49,000.00, PCH GWY NO. 6085. ‘FOREVER” AND THEN GIVE TO A DESIGNATION PERSON TO CARRY ON WITH THE PRIZE. ENTERING TO WIN PCH GWY NO. 6085, A $15,000.00 CASH PRIZE THAT IS UP FOR GRABS. WE WILL PROBABLY GO TO A RESTAURANT TRY A NEW RATHER THAN GO TO THE SAME ONE WE ALWAYS DO. ALSO, CAN YOU PLEASE ENTER ME IN THE “FOREVER” PRIZE, PCH GWY NO. 6900. LOOKING FORWARD IN MEETING THE PRIZE PATROL IF I DO WIN. I KEEP HOPING LIKE EVERYONE ELSE. HAVE A GREAT DAY AND A BEAUTIFUL WEEKEND. PCH Hello please dont forget me!I still would like to win it all ,$5000,00 a week “forever and brand new Lincoln MKZ. please pleasecome prize patrol! And please keep me informed of ways to become a winner, that am able to do! Looking to win that lincoln, Ruby Red in the giveaway# 6085 plus would like to register my decal. Thanks pch. Claiming the $52,000.00 cash for the Ford F150 truck search and win gwy 6085. And the search and win for th $7,000.00 a week for life. Dont forget the $10,000,000.00 search and win a Also. Entries for 2016. I Would love to win this Ford Escape SE. Brand new.. Search to win I hope I do want to win it all PCH I want it. I would love to win it. win it all on June 30th Thank. ENTERING FOR TWO ENTRIES TO WIN $15,000.00 CASH PCH GWY NO. 6085. PLEASE ASSIST ME IN GET MY REQUEST TO THE CORRECT DEPARTMENT AT PCH. ALSO, I WOULD LIKE TO CLAIM PCH GWY NO. 6900, TO WIN THE $2,OOO,OOO,00 + $10,000.00 A MONTH FOREVER + A BRAND NEW LINCOLN MKZ, WORTH OVER $36,000.00. THANKS, PCH CAN’T WAIT UNTIL JUNE 30TH WHEN WE WILL FIND OUT WHO IS AT THE TOP OF THE LIST. Kindly activate for me on June 30th 2016. PCH TO WIN A BRAND A NEW FORD EXPLORER XLT FWD # 3728 WITH THIS I CAN GO CAMPING OR ON VACATION PLUS WIN $2 MILLION UP FRONT $10,000.00 A MONTH FOR LIFE, AND A BRAND NEW CAR #6900 what an honor to entry this and $5,000 a week ”forever” Sweepstakes GWY6900 also the $5,000 A week for life. YES, let me ride away in a Brand New Ford Explorer XLT FWD #3726 4 door entry me this is awesome. PCH WIN Brand New Ford Explorer XLT this is a great choice of car entry mr thank. Thank You for the opportunity to enter for Ten Entries for $15,000.00. This is a PCH Giveaway 7233.I want to be a VIP FOREVER! I also would Love to win the $5,000.00 a week FOREVER! My dream would be True! Thanks!! I will accept my prize number and secure my entries to be lock in PCH winning numbers Generator to win $5000.00 a week FOREVER two lifetimes GWY 4900 and I will be delighted to win $100,000.00 GWY 6085 Bonus cash $50,000 GWY 6902, $1000 Local TV Texas Prize GWY 6085. $10,000 GWY 7262, $25000 GWY 4749, $30000 GWY 4650,$1000 GWY 5035 , $15000 GWY 6086. Please lock my all prize numbers inside winning numbers Generator. I have tried to find myself through pchsearch&win but I could not find myself. Thanks for help. PCH WIN A NEW FORD EXPLORER #3726 I AM READY TO WIN THIS TRUCK SWEEPSTAKES .A BEAUIFUL RED COLOR. PCH I WOULD LOVE TO WIN FORD EXPLORER.#3726 SWEEPSTAKES, I WOULD LOVE TO WALK IN FORD CAR LOT AND LOOK AT ALL THEM NEW TRUCKS AND CARS AND HAVE MONEY TO BUY ONE IT WOULD BE NICE. ENTRY ME PLEASE. PCH WIN NEW FORD EXPLORER XLT # 3726 ENTRY ME I JUST WANT RIDE. YES PCH 1830, 02340406467, 03062, PCH SEARCH AND WIN THE BEST SEARCH ENGINE TO WIN GWY 3726 FORD EXPLORER XLT BRAND NEW WORTH $ 32,495.00 CASH EQUIVALENT PLUS $ 2,000.000.00 CASH $10,000.00 A MONTH FOR LIFE, I AM HERE TO CLAIM 2X ENTRIES TO WIN AND ACTIVATE MY PRIZE NUMBER ON THE 30TH DECEMBER 2015, AND I WANT TO ACCEPT AND CONFIRM TODAY TO BE THE NEXT PUBLISHERS CLEARING HOUSE P.C.H.COM MILLIONIER MAKING OPPORTUNITY WINNER AT THE EARLY SPECIAL SELECTION LOOK EVENT ON 30TH DECEMBER AND THE PRIZE PATROL TO HAND DELIVER TO ME PERSONALLY WITH BALLOONS AND CHAMPAIGN AND ROSES AT MY LOCAL TV.AREA FRONT DOOR, .THANK YOU VERY MUCH FOR EVERYTHING YOU ARE DOING FOR ME AND MY FAMILY. Pch, I would just love to have a Brand New Ford Fusion valued at $38,000.00. I would truly appreciate it if you would activate my entry. Merry Christmas. PCH I WOULD TO WIN Brand New Ford Explorer XLT this is nice I seem past by me on the road. chrome bumper and I would like re. entry me d body . this is very nice count me in. PCH and Prize Patrol I am ready also waiting on you to bring the big Check for $10,000.00 on December 30th. That’s Double Standard for your $5,000.00 a week Payout. I do want that new Ford Fusion PCH. GWY 4650! That’s a lot of dough!! Thanks!! I would love to win a brand New Ford Explorer – at the moment I do not ha e a car to do my shopping and for going to Church. I need a car on the spot now. PCH I’M CLAIMING MY ENTRY TO WIN SEARCH&WIN/PCH FRONTPAGE WIN A BRAND-NEW FORD FUSION WORTH OVER $ 38,000.00, GWY NO.4650 PLUS WINNING $ 5,000.00 A WEEK ” FOREVER ” ON AUGUST 31ST GWY NO. 4900, THNX PAULINE. ..
PCH-COM -EXPLORER XLT FWD NO. 3726 PRIDE $32,495.00 THIS IS NICE TO WIN ,I WOULD LOVE TO WIN A BRAND NEW TRUCK . Please pick the Riley’s as your next prize winners. It has been a struggle for a few years and with this wonderful gift Our lives will be forever changed for the positive:) PCH thank you for this life changing gift whoever receives it. We love you guys!!!! God I’ve never ask for anymore out of life then I deserve but on June 30,the 2015, I want to win it all from pch prize patrol. God only you have seen my struggles in life, I’ve never won anything or had much of anything in all my life, I’m 51,andy husband is 67, I pray my entries with pch pays off.god, & pch my family and I need this miracle so bad. I have prayed everyday for this chance with pch, to win it all, super prize god only knows how much my family and I need this blessing, so god and pch if you are listening please I begg of you to help us, we don’t have enough income in the home to pay our bills each month, and were going under. So please hear our prayers. God bless you all at pch.keep on hopeing praying on this dream to com true.thank you, god bless you all at pch. I’m pleading for god and pch to make my dreams come true. I live in zephyrhills Florida, I’m in a bad financial bind, I just recently lost my disability check because I got married, my husband works a job he’s 67 years old, and we don’t have enough income to pay all of our bills, we are in debt, and my health is failing me, I have cancer. We are going under and loosening everything, with not enough to pay our creditors. I pray god gives us his mercy for a miracle, and sends the prize patrol, Dave sawyer with a check to bless us and our family with. Thank you, pch, and god for guiding me down this path and hopefully a chance to win it all from pch.sincerely in hopes, prayers, and dreams, Kelly Hires powers. Life can be better with a better future plan. With life being the way it is. Pch its time for miracles.”7k for life gwy no. “4900” And these 1830, 4650, 4902, 4950, I am still in it to win it all #4900 thanks! PCH.WIN A BRAND NEW FORD EXPLORER XLT FWD OR # 32,495.00 CASH GIVE A WAY NO.3726 ,WHAT A NICE SWEEPSTAKES I TAKE A RED ONE THANK. I have never win a car it Will be a dream come true for me to win for the first time in my life foe a ford explores xlt. I’m Ready For My Life Change Experience From The Inside Out Publishers Clearing House Amen. Publishers Clearing House I Will Not Win Immediately But It Will Be Definitely Amen. Publishers Clearing House I Can’t Lose Sight On Where I’m Headed Amen. PCHS PLEASE KINDLY HELP ME ACTIVATE AND REDEEM MY TOKENS AND BONUS SO I CAN BE ABLE TO WIN AT THE REDEMPTION CENTER BY GOD’S GRACE. THANKS.QUEEN. Publishers Clearing House I Am Ready To Win Forever Amen. I pch I need to win this money,I have a lot of responsibilities and winning this time could help me alot.So please PCH active my number thanks. Publishers Clearing House I Dream Of Winning EveryDay Amen. I Will Keep Going Everything I Need Will Come To Me In Perfect Timing Publishers Clearing House Amen. When You Live For A Strong Purpose…Then Hard Work Isn’t A Option It’s Necessary Publishers Clearing House Amen. The Key To Success Is Hard Work &Determination Publishers Clearing House Amen. Will My Millionaire Dreams Come True Publishers Clearing House??? Ready For My Dream Moment To Happen Publishers Clearing House Amen. I would really like to drive a reliable car, just hoping for the best outcome. Faith Is Keeping On Believing Publishers Clearing House Amen. I’m not choice about the vehicle I just went to win, be happy with the winning think you. Ready For My Dream Golden Opportunity Publishers Clearing House Amen. PCH i wanna wanna Winnnnnnnnn, i want it alllllllllll!!!!!!!! 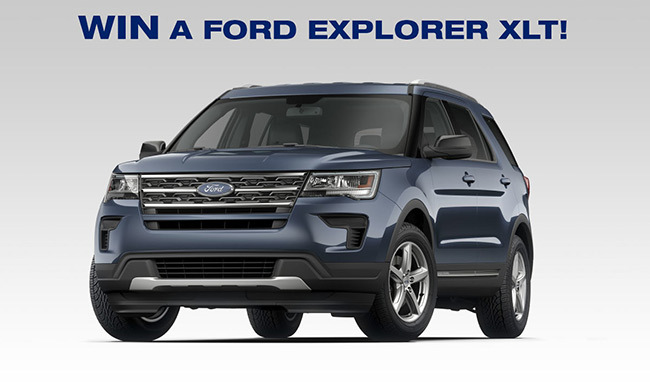 YES’ PCH I use PCH SEARCH and WIN ENGINE ,YES I Want to WIN A Brand New Ford Explorer XLT. PLEASE! READY TO WIN!